Welcome To 285 Woodward, This Detached Family Home Is Fully Renovated And Completely Re-Designed From Top To The Finished Basement. Home Is Rebuilt From Foundation To Top, Has 5 Beds, 5 Baths, Hardwood Floors, New Windows, New Furnace, New A/C, New Appliances, New Electrical Wiring, New Concrete Driveway And Backyard Patio, Glass Railings, Glass Door Baths, Has Side Main Entrance And New Landscaping All Around ... Simply Its Worth Seeing The Property. S/S Designer Fridge, Gas Stove, Dishwasher, Washer & Dryer, Pot Lights, New Elfs, Blinds. 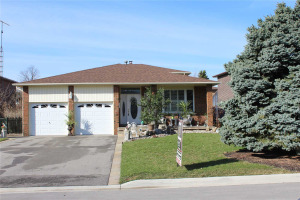 Don't Miss This Amazing Property Of Over 2900 Sq.Ft Of Total Living Space.